Our Lock Lace Bodice for Girls features lacing in three places: up the front, and up each of the both back sides. 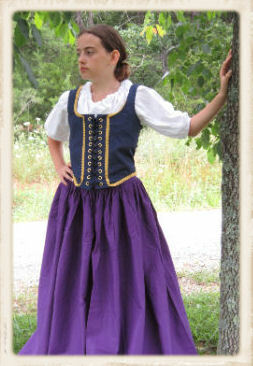 We make this out of our sturdy, 100% cotton twill and trim out the bodice in gold gimp braid. We engineer this bodice to last a long time!